Hello! 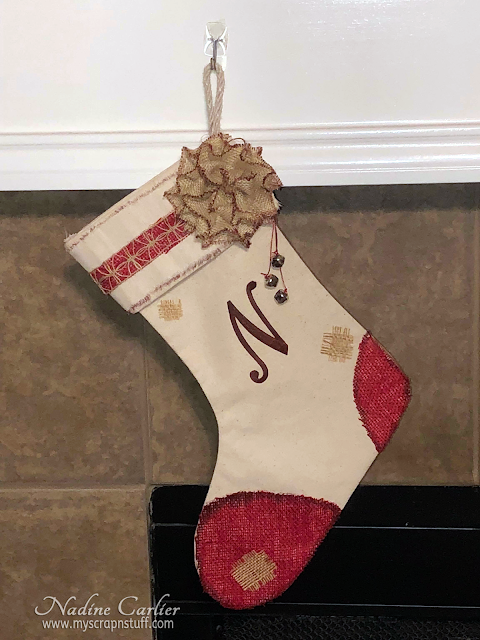 This Christmas instead of buying a premade Christmas stocking how about making a DIY personalized Farmhouse Christmas stocking using a Canvas stocking from Canvas Corp and an embroidered letter from Joy? Did you know the white letters from Joy can be colored? 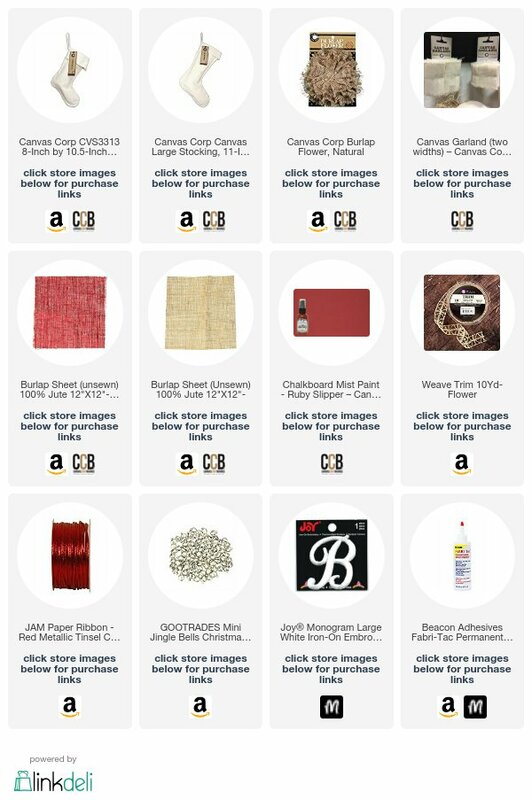 Once you have your canvas stocking decorated the way you like, take your white Joy embroidered letter and spray it with some Tattered Angels Glimmer Mist or your favorite spray color. 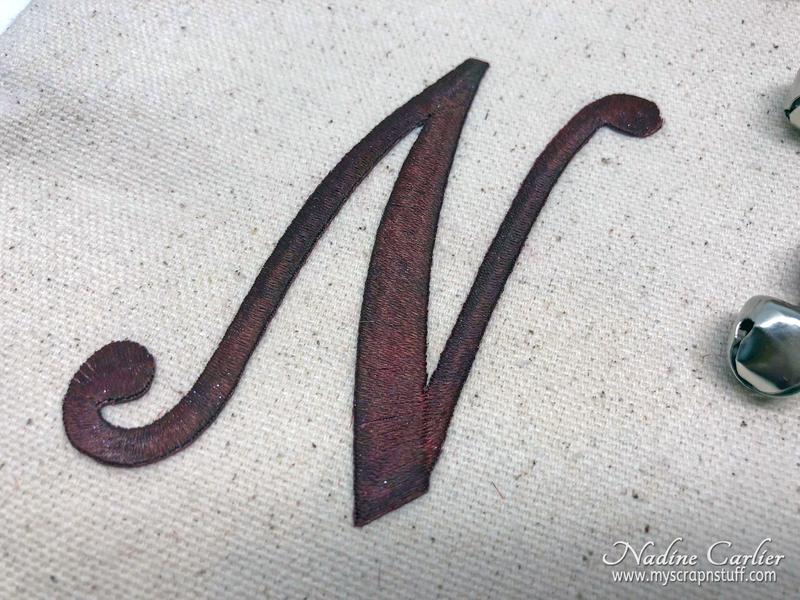 It may take a little while for the letter to dry but once dry, iron the letter in place following the directions on the letter sheet package. Easy Peasy! 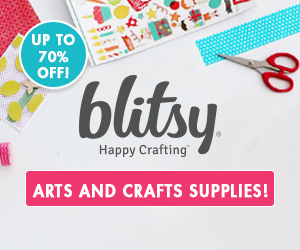 You can also glue the letters in place with fabric glue if desired. 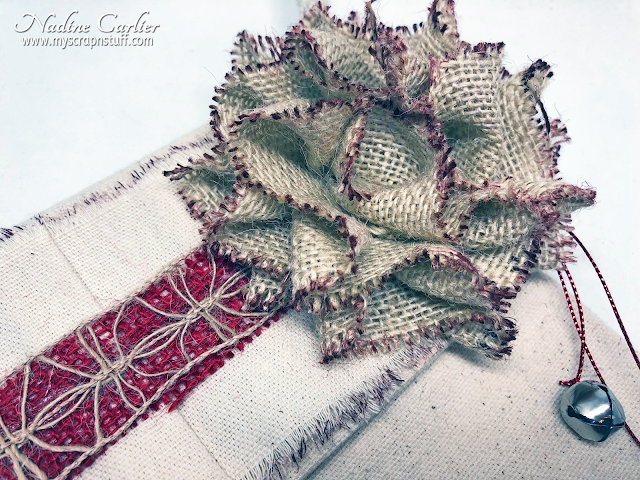 Below is a video tutorial showing how to made my Christmas stocking. 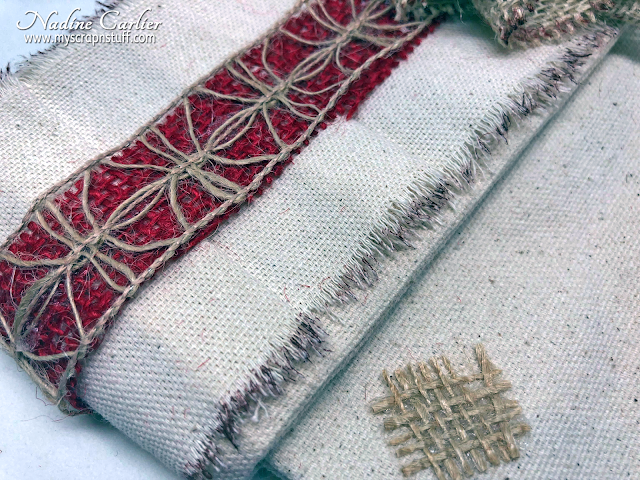 Below are some close-ups of my canvas Christmas stocking.